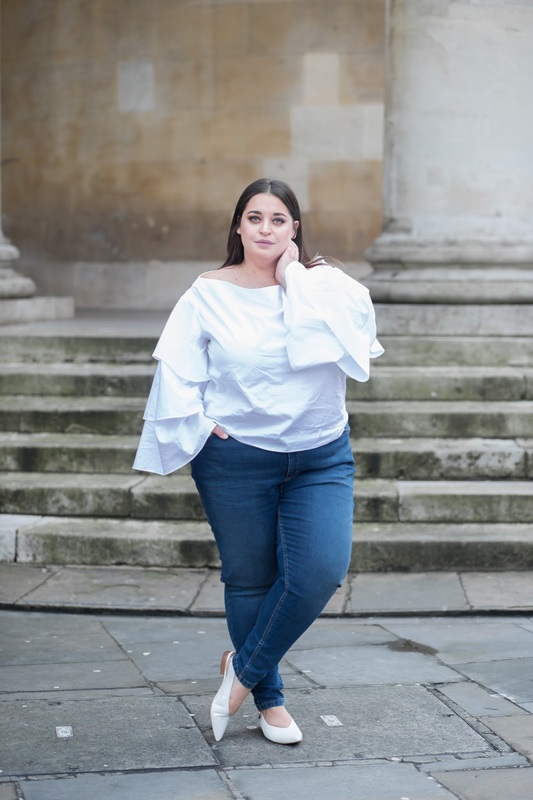 In my previous posts, I introduced my latest collaboration with Marks and Spencer's and showed you all how I decided to style the ultimate white shirt and classic summer mules. 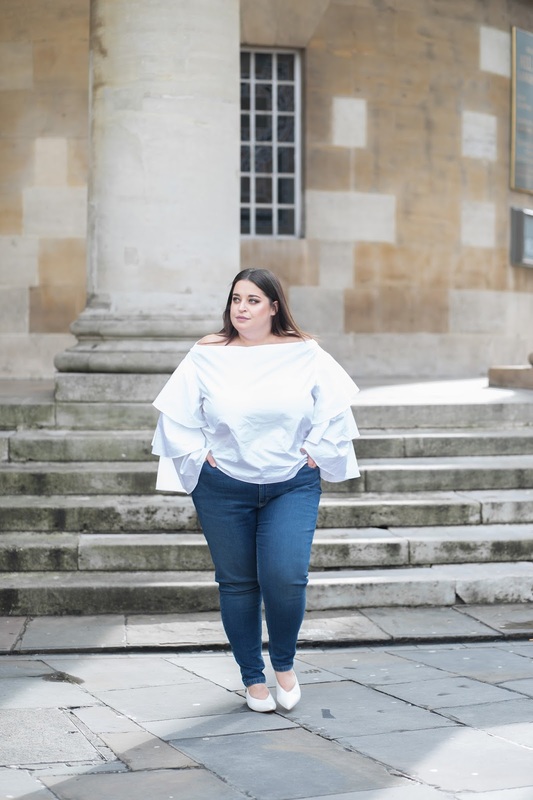 In this third instalment I want to show you how I styled The Ultimate Jeans. The thing I love most about a pair of jeans is the fact they are a bit of a blank canvas for you to do what ever you like with. I know jeans can also be a statement piece in your look but with a classic skinny; the world is your oyster! 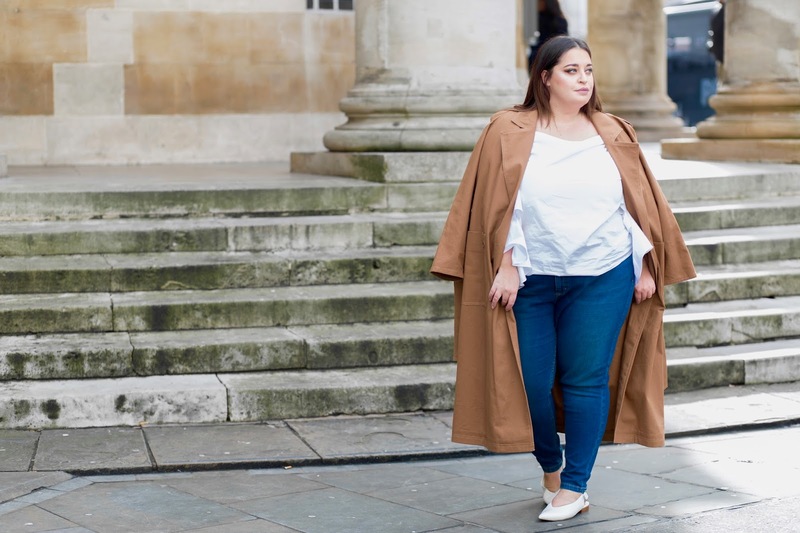 M&S have a whole host of denim pieces available and these particular jeans are available in NINE colours - how good is that? 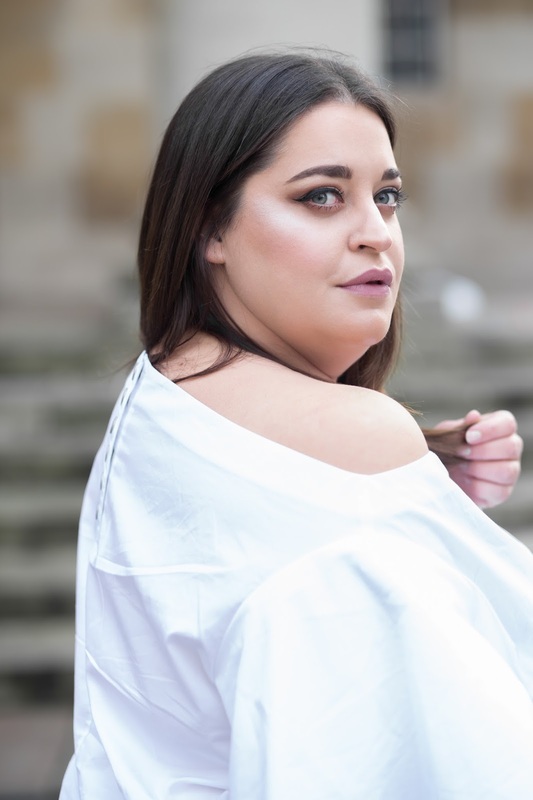 I am wearing jeans from their main range (which go up to a UK22) but I will also link to their plus size options below. 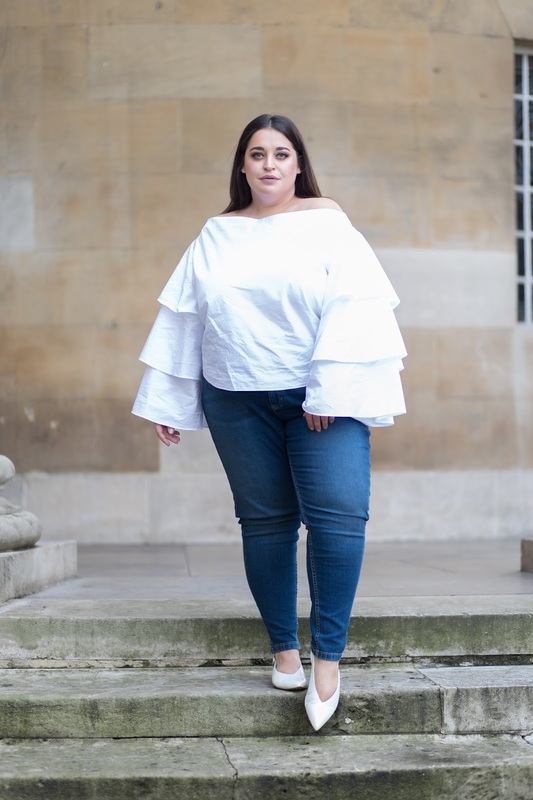 I'm obsessed with the unique, tiered sleeve bardot shirt I decided to style the jeans with and I fell in love with this style of sling back shoe when I saw them in stores like Celine. I am sooooo thankful that M&S have made these flats - they are so chic don't you think? ps... I promise I ironed the shirt in the morning! Keep your eyes peeled for the final instalment where I show you how I styled a trench jacket. You guys can get involved in the #TheEverywearChallenge by tagging your outfits on social. 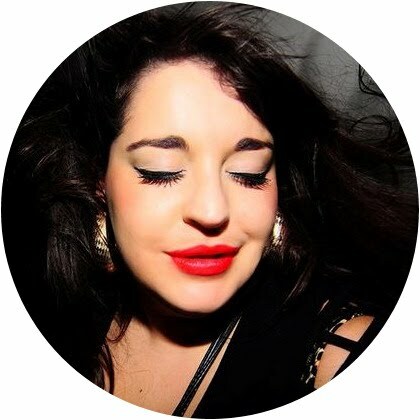 I'll see you all over on Instagram! 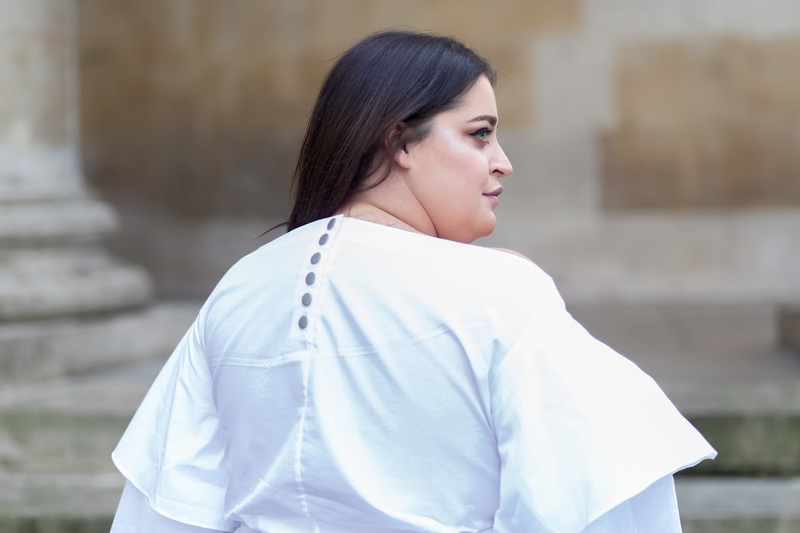 *This post was written in collaboration with Marks and Spencer's but as always, all thoughts and opinions are my own. Did you know - Levi's does plus?